NEW! 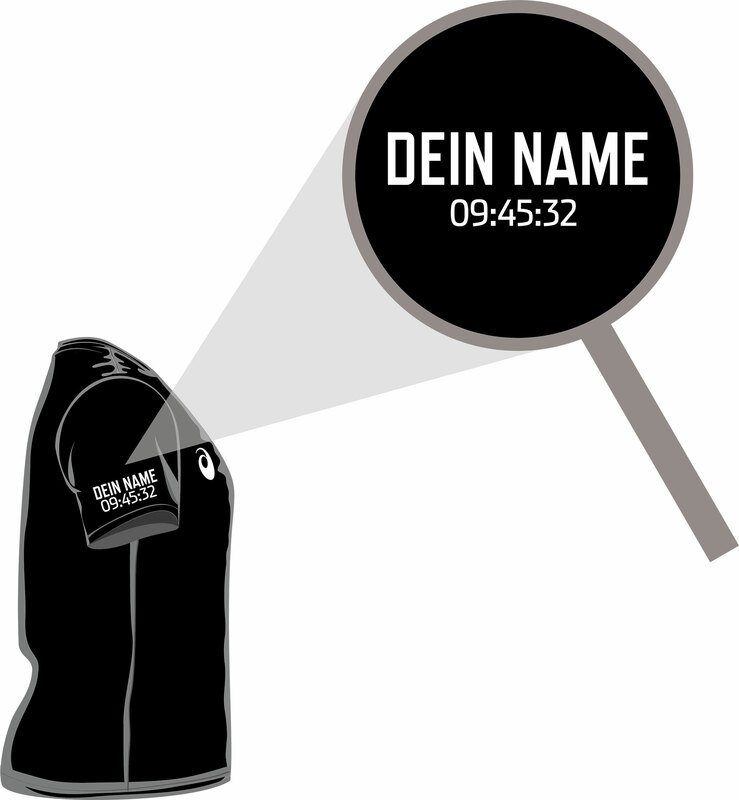 Your running shirt with an individual touch! Our eventline and souvenir shirts by ASICS have been enjoying great popularity for years. They are a great reminder of the very personal marathon experience and are worn with pride. 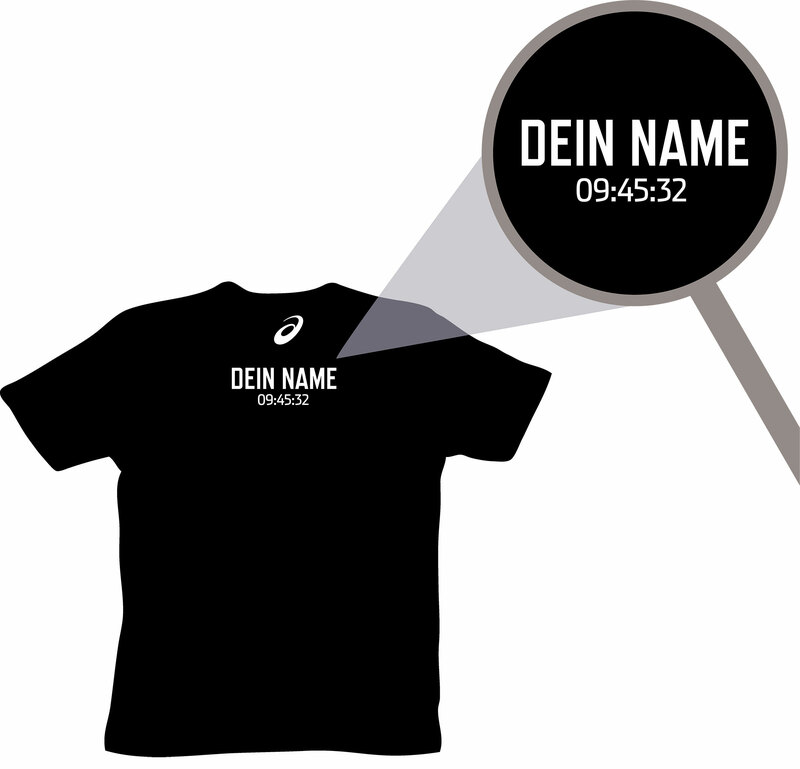 In 2019, for the first time and exclusively in the German marathon scene, you have the opportunity to personalize and refine your running shirt at the Mainova Frankfurt Marathon with a print of your name and / or your finish time. This new gimmick can be booked as part of the online registration. If you are already registered, you can rebook the gimmick via the participant portal until October 20th. Log in under “Check my registration” with your booking number and email address and complete your registration to order the high-quality T-shirt Flexdrucks. For an extra charge of 2 € you can still opt for the Flexdruck on site at the sports goods fair Marathonmall. Pre-orderers will find a corresponding marking on their start number and can have their chosen print personalized with an ASICS Eventline shirt or another running shirt of their choice. If you have booked a name print, you can have it done on Friday or Saturday. Of course, prints with a finish time will not be made until the Sunday after the race. The print (monochrome, probably in white) can be done on any running shirt. The prerequisite is that the area to be printed is free of graphics, logos, etc. The number of characters for your name is limited to 15. The shirt to be printed should be as dry as possible.